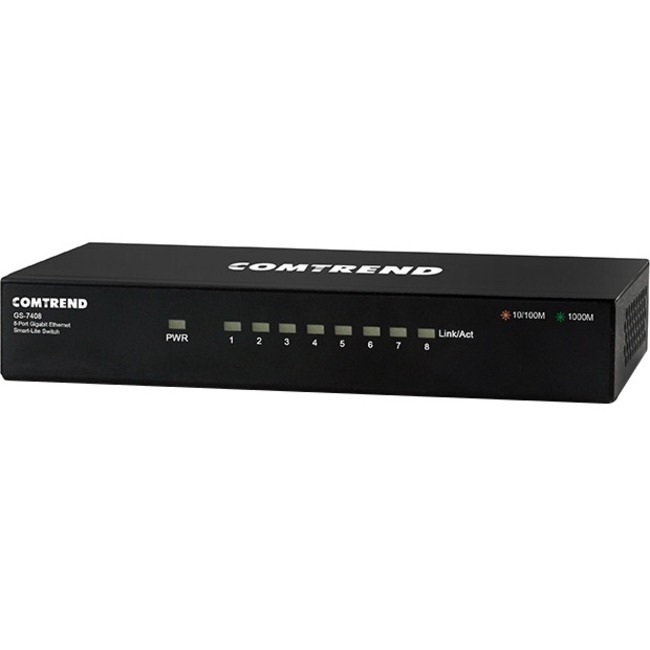 Comtrend's GS-7408, a Smart-Lite Gigabit Ethernet Switch, offers the performance of business-class networking in a cost-effective solution. 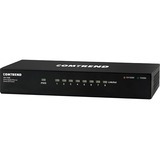 The GS-7408 features effective management such as remote network monitoring, traffic prioritization, and VLAN features. 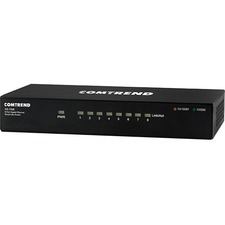 It is ideal for the business looking for simple management in deployments of high bandwidth video and network services. Reduces the Multicast traffic passing through the switch, enhancing your streaming video experience and optimizing the bandwidth in network throughput. Secures network access to authorized devices on a per port basis. Reserves bandwidth on a per port basis based on user-defined priorities such as video, voice, etc.